A luxury and high technology were intertwined together so much never until today. Spa pedicure chair is unique pedicure chair, which helps you achieve the highest quality of work in accordance with all sanitary norms. 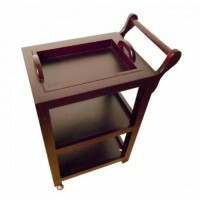 Pedicure footbath is made of high quality acid-resistant acrylic. Six outlets for water are regulated independently. 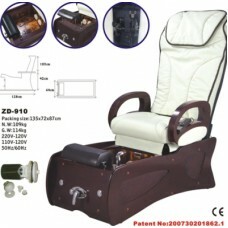 The chair has an ozonation system, which helps to produce excellent relaxing foot massage. Worth to remember that ozone is an excellent antiseptic, and it improves the circulation of oxygen in the tissues. 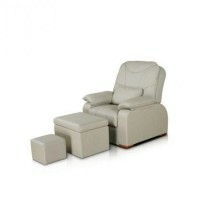 Spa pedicure chair is made of high quality materials and it is equipped with a rotating seat with adjustable tilt and large comfortable armrests. You can easily adjust the height for each client.